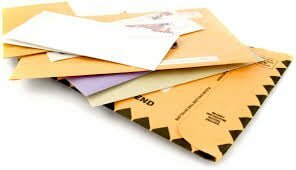 Private and business mail boxes from only £98.40 (inc. VAT) for the year. Mail box prices fixed for 5 years! Renting a mail box is a great option for many people, such as those spending time overseas, professionals who work from home and want to present a more professional image, people concerned about a lack of privacy for their current mailing address, or those who simply want someone available to sign for packages on a regular basis. Our service includes all of these facilities. All mailbox prices are fixed for 5 years! ** Weekly to a weight of 100g. Excess to be charged on Direct Debit. Please feel free to contact us if you have an enquiry or wish to hire a mail box. You can call us or fill out our contact form and we will get back to you as soon as possible. Bridge House in Westbury offers fully furnished instant offices for immediate use with flexible half day, full day, weekly or monthly hire rates. Bridge House in Westbury, Wiltshire offers a fully-equipped meeting room for hourly, half-day or full-day hire. © 2019 Mail Box Rental.